Don Felder, a former member of the Eagles, will be at the Levitt Pavilion in Westport for a concert on Saturday, July 25. On the day Don Felder came up with the music that would inspire the Eagles’ 1977 smash hit “Hotel California,” he also unearthed about a dozen more snippets of sound while playing his guitar on a couch in a rented house in Malibu, Calif.
“If I don’t capture it when it is fresh ... then it is just gone,” said the band’s former lead guitarist, during a phone interview from his California home. At the time, Felder’s improvisational strumming also led to the musical seeds that would become the Eagles song “Victim of Love” and his solo track, “Heavy Metal (Takin' a Ride),” which was the theme song for the 1981 movie of the same name. Since 2009, Felder has been touring the country with a show that not only features his 27 years with the Eagles, but also his solo work, which includes movie tracks and two solo efforts, 1983’s “Airborne” and “Road to Forever,” which came out in 2012. 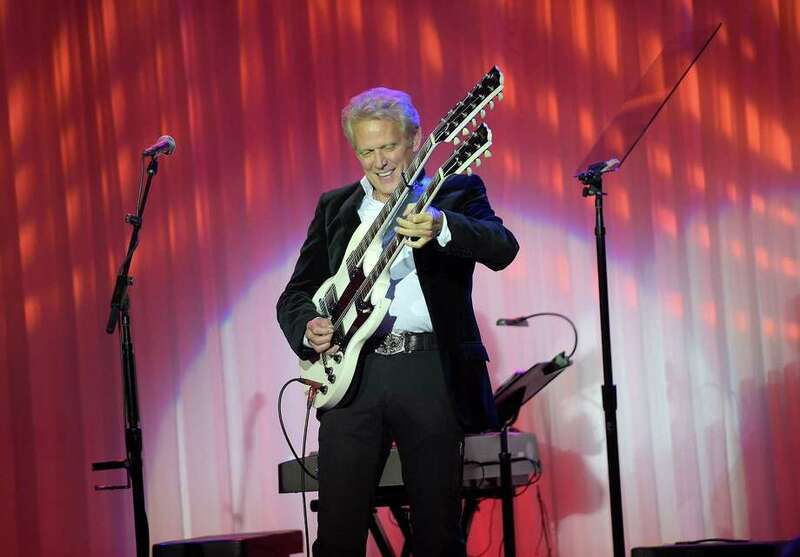 “Don Felder: An Evening with the Hotel California” will check in to Westport’s Levitt Pavilion on Saturday, July 25, as part of a gala to raise funds for the venue, which largely provides free summer entertainment. These days, he said, touring brings him joy, often playing with friends, as he did with Styx and Foreigner last summer and the Doobie Brothers this year. He said it is a marked difference from the kind of life with the Eagles, one of the world’s best-selling bands, thanks to a string of hits in the 1970s. It was an intense experience that did not afford him the life and work balance he treasures. If anything, he has his eye on future projects. He hopes to set aside time in August to lay down some tracks with material he has been compiling, much as he did several decades ago. These days, however, he can sing or play it into his iPhone as he drives down the freeway or travels on a plane. A mix of musical styles still inspires him, just as they did when starting out as a young guitarist in Gainesville, Fla. “I like dabbling in multiple textures. ... It’s not only unfulfilling to replicate the same sound over and over, but you are not exploring the possibilities. I like to challenge myself.